One of the original GSBC Spirits, Tyler was a dedicated, hardworking football player who worked extremely hard in every capacity he was asked to perform. Forced to play Ironman Football, he played multiple positions in 2008 and 2009 to include center, defensive tackle, left defensive end, kicker and punter. Tyler is currently enrolled as a freshman at Chowan University. He currently plays Defensive Tackle while maintaining a 3.35 GPA. 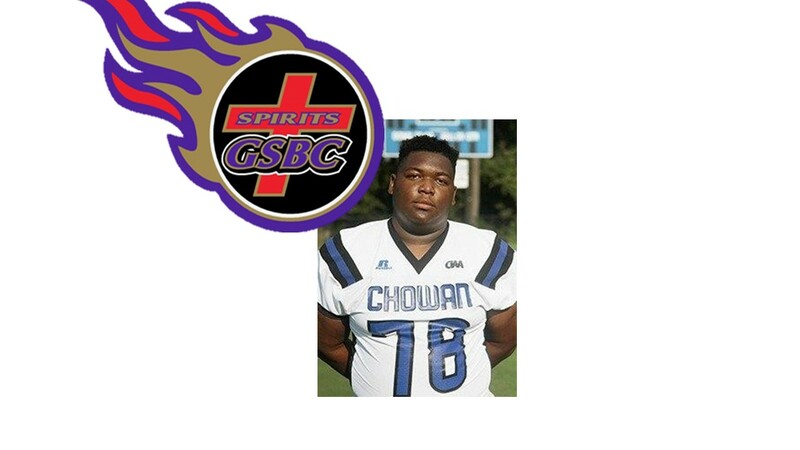 He is an active member of the FCA (Fellowship of Christian Athletes). Some of his many awards and accomplishments includes being named the 2014 All-5A South Region 2nd Team Defensive Lineman; 2014 All-Conference 12 1st Team Defensive Lineman; 2014 All-Conference 12 2nd Team Offensive Lineman; 2014 All-Metro Honorable Mention Defensive Lineman; 2014 Prince George High School Most Valuable Lineman; and the 2013 All-Conference 12 2nd Team Offensive Lineman.